Folks, as we enjoy this holiday season, it’s important to remember the less fortunate. Not all programs are as blessed as tUMD’s hockey programs are, and the latest program to suffer serious financial hardship is none other than the mighty Minnesota-Twin Cities Golden Gophers. Yes, folks, despite gouging fans with high ticket prices, forcing students to buy multi-sport ticket packages, bleeding their season ticket holders dry with seat licenses, and even once ripping off tUMD student fees to try to fund their football stadium, the Gopher men’s hockey team simply can’t make ends meet. 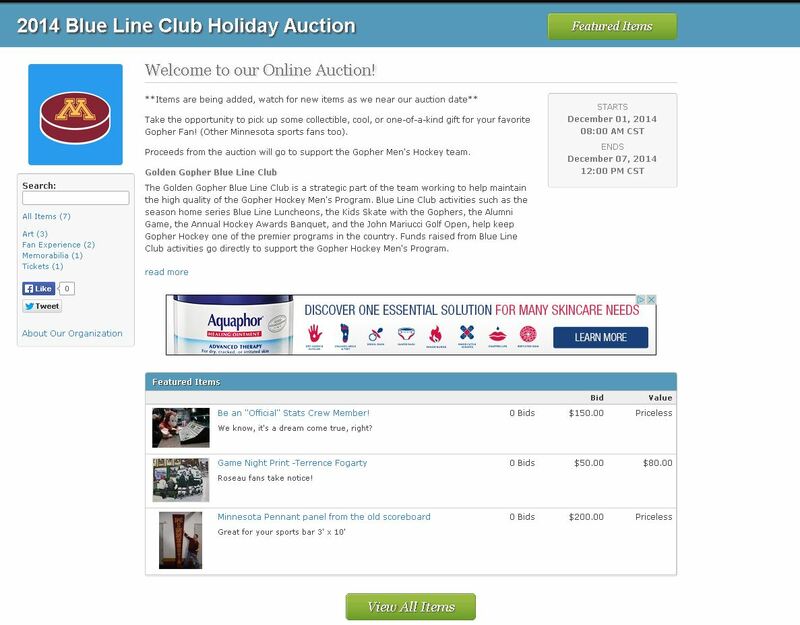 The Blue Line Club, bank accounts drained trying to keep their precious squad afloat, has had to resort to an auction of their belongings, presumably to satisfy their creditors. Bulldogs fans, count your blessings this holiday season. I can’t imagine what it must be like for those less fortunate Gophers, who first had to endure a sweep at our hands, then a loss to a children’s team, and now are publicly facing financial ruin.